No need for troubling times when this T is around! It can’t help but cheer you up. 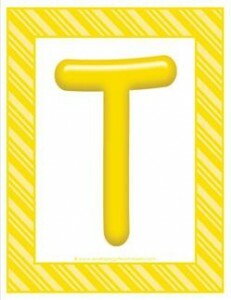 This colorful letters uppercase T made of candy-like bright yellow with a matching striped yellow frame.